Being a landlord is tough. 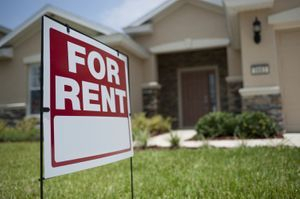 State Law has set up a complex set of rules that a landlord must follow, not only to properly evict a tenant, but to avoid serious legal liability along the way. No matter how much work you do at the front end, occasionally you get a tenant that needs to go. Maybe they won't pay their rent, or they commit a crime on your property, or they breach other provisions of the lease. Don’t waste your time trying to evict the tenant without an attorney. Judges dismiss eviction cases every day because of the landlord’s failure to jump through the legal hoops required. After having already spent hundreds on court fees, and weeks or months trying to get to court, the landlord has to start all over and pay an attorney anyways. Matthew can help you deal with the tenant appropriately before and after filing the eviction and ensure that your case moves quickly through the court process, so that you can get a paying tenant moved in. The attorney fee can be as inexpensive as $300.00. For answers to Landlord's frequently asked questions, see Landlord's FAQ. Call Matthew J. Hornsby at (205) 856-1000 or email him at matthornsbylaw@gmail.com for a free consultation regarding your landlord-tenant matter.